From the Hubertus factory in Solingen come traditional yet uniquely different styles of German knives. The handcrafted knives are all geared towards hunters and outdoor enthusiasts, featuring rugged stag handles and blades of high quality German made stainless or carbon steel. Leather sheaths with secure belt loops are included with both the fixed and folding knives, protecting and securing the blade during outings. Hubertus is a family run business that has been making knives since 1930 in the old world style and we’ve brought over some models we think you’ll find as cool as we do. 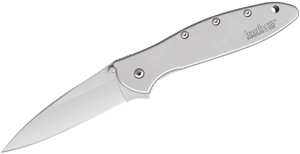 Check out all the new Hubertus Knives at www.knifecenter.com. William Scagel, rest his soul, can be considered the father of modern custom knifemaking as many of his designs and techniques are still copied and used to this day. Scagel’s style of using stacked leather and stag, paired with a drop point hunting blade became popular for it’s quality, elegance, and high degree of function. Scagel Knives were always 100% handmade, as William preferred it, making original Scagel models extremely hard to come by. Today, a new company has begun remaking Scagel knives to the same exacting standards in Michigan and they come in two different fixed blade models, the Bowie and the Hunter. Whether you prefer stag or leather, a maneuverable 5-3/8″ blade or a larger 8″ size for more serious tasks, there’s a Scagel configuration for you. Get one in your hand and you’ll be able to tell the absolute quality of every William Scagel knife, available at www.knifecenter.com. Skinning, quartering, dressing, light splitting, shaving, and whittling are only a few of the things the Diskin Hunter is capable of. 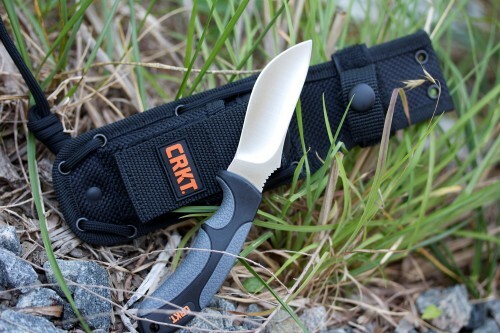 Designed by custom maker Matt Diskin to be a field dressing knife that could also perform camp tasks, the 1085 is the happy medium between functional blade size and svelte, compact design. The blade is 4-5/8″ long with tons of belly and shaped like a cross between the Tremor and Rake models. The steel is 14C28N stainless, which will take an extremely sharp edge and provide excellent corrosion resistance so you won’t have to worry about your blade rusting out in the field. The thing that sets the Diskin Hunter apart is the handle. Made from textured G10, the handle being only one inch at it’s widest point makes it easy to get a good grip on, especially with gloved hands. The knife comes with a high quality leather belt sheath and is backed by the Kershaw lifetime warranty. Best of all is it’s made in the USA and can be found at www.knifecenter.com. If you’ve ever wondered what the ideal tactical “go-to-war” combat knife may be, the Harsey family from Spartan Blades might just be the answer. The Hunter and Model II are classic, functional designs with some hi-tech, new-age features. The full-tang S35VN blades are 3/16″ thick which provides excellent torsional strength and are available in your choice of color. The canvas micarta scales are 3D machined and contoured to give you a firm grip while also offering superb ergonomics in the forward and reverse grips. Many people believe a fixed knife is only as good as it’s sheath and if that’s the case, this is where the Spartan Harsey blades excel. You have the choice between a MOLLE compatible Cordura sheath or one made from Kydex, both lock in the knife extra securely and provide an ample array of carry options. These knives are based loosely off “The Yarborough” fixed blade designed by William Harsey, which is the knife presented to each cadet of the US Army Special Forces Qualification Course upon their graduation. You can see these works of edged art at www.knifecenter.com. 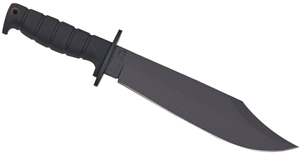 Spartan Blades are some of the finest fixed blade tactical and combat knives produced within the United States. Their designs are simplistic, elegant, and most importantly ultra-functional. Spartan Blades use the highest quality components, materials, and steels to produce a product second to none. Every detail is scrutinized thoroughly from blade grind and swedge shape, to sheath material and even the included or excluded lanyard. Military professionals, combat personnel, and collectors around the world turn to Spartan Blades for the utmost functionality in a beautifully designed package. You can see their new designs at www.knifecenter.com. Crikey! Cold Steel‘s got a new boomerang for the end of summer! 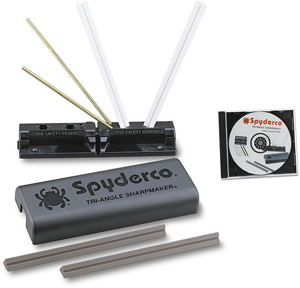 It’s great for target throwing, recreation, or just controlling the wallaby squirrel population in your yard. Constructed from tough, durable Polypropylene, throwing the 928BRG can help you hone your hand-eye coordination, plus it’s good exercise! At 28″ overall length, this beast is not to be trifled with. Please note: this is a hunting boomerang, it is not designed to return to the thrower. Cold Steel made it to hit hard, and that’s what it does! Take a look at this boomerang, and many other Cold Steel products at www.knifecenter.com! A new, old knife! The Western Knife Company has been reborn and we are excited by their products. We’ve been fans of Western knives since the 1980’s and we’re thrilled to see them return. This is a basic gut hook hunter and is offered at an amazing price.